Quinta and Vineyard Bottlers Vinhos S.A.-Taylor Fladgate-Late Bottled Vintage Porto-Portugal-2007-20% Alcohol-$15.99-A nose of dark fruits and sweet spice, dark black in color. A medium to full bodied LBV port, with blackberry jam, currant, black cherry, dark chocolate and spice on finish. Drinking good now, a good value. WS-88 WE-91 CR-89 Good with desserts, ice cream. One cork bonus. Paso Creek-Cabernet Sauvignon-Paso Robles-California-2011-13.5% Alcohol-$16.99-A nose of muted fruit and some spice, dark garnet in color. A medium bodied Cab with some dark fruit and spice, disjointed and average at best, better values out there. NR CR-83 Good with meats, chicken, pasta. 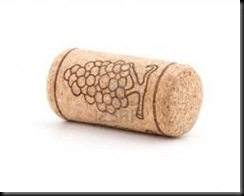 Corkless.